GMP 1: Rehabilitated 5,000 LF of existing 60” PCCP water transmission main using a 56” welded steel liner. The pipe is located along Superior Avenue from 40th Street to 44th Street and 44th Street from Superior Avenue to University Drive. 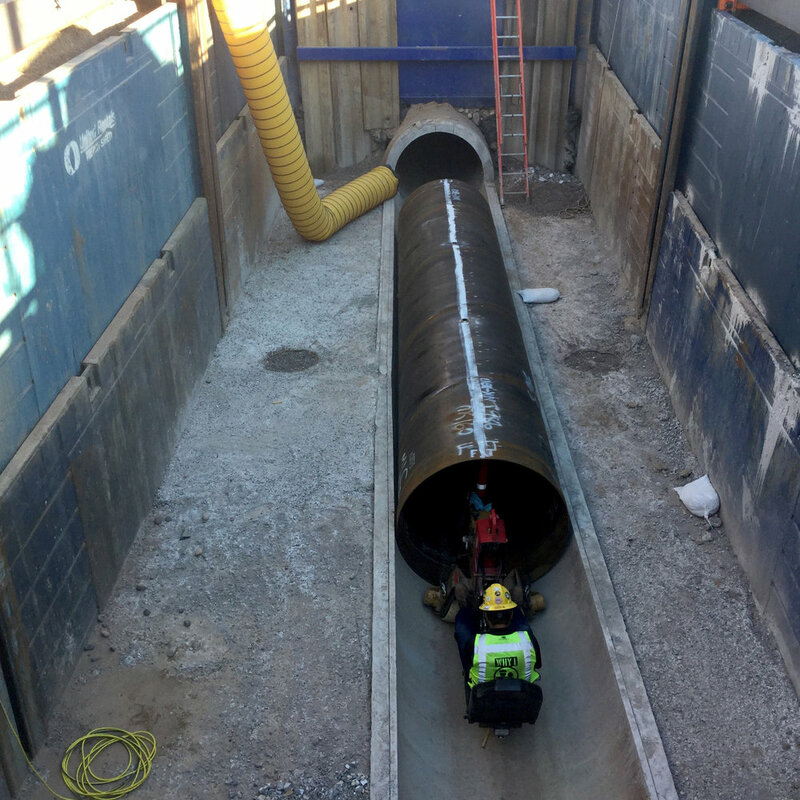 The scope of work included development of MOPOs to dewater the existing 60” transmission main from Booster Pump Station 1-B3 to Roeser Road and 36th Street. In addition to the installation of steel lining and associated grouting and mortar lining, Achen-Gardner managed access and associated confined space requirements as well as replaced the pavement and landscaping at the pit locations, relocated existing waterlines, demo/removed pipe, and filled and disinfected the transmission main upon completion of the rehabilitation. GMP 2: Included an additional 3,300 LF of pipeline rehabilitation. GMP 3: Includes an additional 5,290 LF of pipeline rehabilitation.